David Angell was an American television producer whose resume includes the hit comedies Wings, Cheers, and Frasier. Along with fellow producers Peter Casey and David Lee, he is said to have won over 20 Emmy Awards. 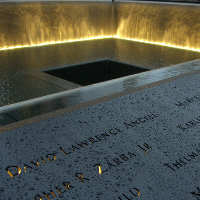 David Angell and his wife Lynn died during the September 11 attacks when the plane they were aboard crashed into the World Trade Center. David Angell has a number of U.S. Presidential kin that include Benjamin Harrison, Calvin Coolidge, Franklin D. Roosevelt, Gerald Ford, and both Presidents Bush. He has royal family connections to the late Princess Diana and to King Leka I, King of the Albanians. Other notable foreign leaders in David Angell's family tree include Canadian Prime Minister Sir Charles Tupper and Irish President Erskine Childers. David Angell has a number of fellow celebrities in his family tree including Kim Kardashian, singer Nelson Eddy, fashion designer Gloria Vanderbilt, televison journalist Anderson Cooper, actor John Ritter, singer Britney Spears, actress Elisabeth Shue, actor James Spader, and Tonight Show host Johnny Carson. Literary kin of his include Tarzan author Edgar Rice Burroughs, poet Emily Dickinson, and Martian Chronicles author Ray Bradbury. Some notable historical figures in David Angell's family tree include Declaration of Independence signer Stephen Hopkins, World War II General Douglas MacArthur, American Red Cross founder Clara Barton, aviation pioneer Amelia Earhart, evolutionist Charles Darwin, and astronaut Buzz Aldrin.